The antitrust fine has hit Qualcomm badly. 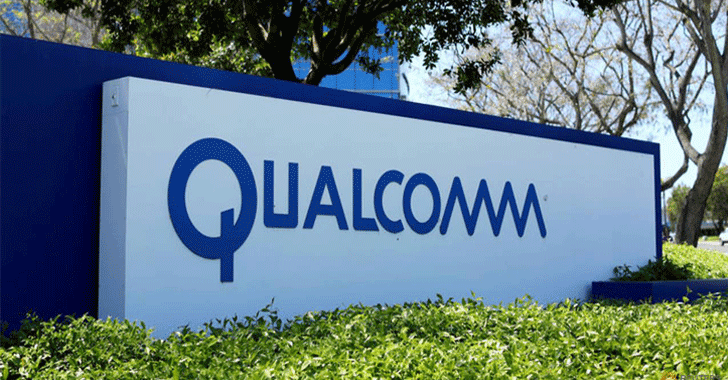 The European Commission has levied a fine of €997 Million, approximately $1.2 Billion, against U.S. chipmaker Qualcomm Inc. for violating antitrust laws in a series of deals with Apple by "abusing its market dominance in LTE baseband chipsets." According to the European Union (EU), Qualcomm paid Apple billions of dollars to make the iPhone-maker exclusively use its 4G chips in all its iPhones and iPads, reducing competition from other competing manufacturers in the LTE baseband chip industry like Intel. The European Commission launched an investigation in 2015, which revealed that Qualcomm abused its market dominance in LTE baseband chipsets and struck a deal with Apple in 2011, which meant the iPhone maker would have to repay Qualcomm if it decided to use a rival's chipsets until the end of 2016, hurting innovation in the chip sector. "This meant that no rival could effectively challenge Qualcomm in this market, no matter how good their products were. This is illegal under EU antitrust rules and why we have taken today's decision," EU competition commissioner Margrethe Vestager said in a press statement. Apple received payments from Qualcomm for approximately 5 years between 2011 and 2016. The company still uses Qualcomm components in its iPhones and iPads, but it began using Intel LTE modems in its iPhone 7 and 7 Plus devices after the agreement ended. The fine imposed on the chip maker is hefty, but won't hurt Qualcomm's bottom line significantly as it represents 4.9 percent of the company's turnover in 2017, according to the EU's antitrust commission. Qualcomm said it 'strongly disagrees' with the European Commission's decision and will 'immediately appeal' it at the General Court of the European Union. The company also believes its agreement with Apple does not violate European Union competition law. "We are confident this agreement did not violate EU competition rules or adversely affect market competition or European consumers," Qualcomm General Counsel Don Rosenberg said in a statement. "We have a strong case for judicial review, and we will immediately commence that process." Not just one, Qualcomm is facing a patent fight with Apple over chip royalties, and simultaneously fending off a $100 billion hostile takeover from rival chipmaker Broadcom, but it rejected the bid last November, saying it 'dramatically undervalued' the company.